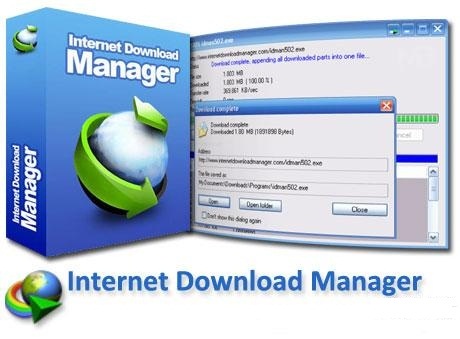 Internet Download Manager is a free program that allows users to download and organize files as they see fit. It is easy for users to download files, categorize them and then access them right from the app’s main interface. While Internet Download Manager does not have the most fancy user interface or ease of use for the more advanced features, it does have many redeeming qualities. These things would include the high speed at which it allows when users are downloading files, great browser integration and also a readily available help section, which allows users to get the answers that they need when they get stuck using the program. The majority of users applaud the software’s ability to help them achieve the download experience that they desire. Since the program is free, easy to install and easy to begin using right away, it is a simple to make this the download manager of choice, no matter what your goals are when using this program. The only drawback that has been reported about this program is that it is difficult to uninstall whenever a user may not want it on the computer anymore. With a quick search of the Internet for a tutorial, this challenge can easily be remedied, once again putting this program at the top of users’ lists. This allows its users to manage their downloads and get faster download speeds. Internet Download Manager can allow download speeds to be increased by up to five times over that of a user’s normal download speeds. The program can easily resume unfinished downloads that may arise due to network problems or if users have an unexpected outage of power. The full-fledged site grabber downloads files that are specified by the users’ filter options. Let’s say that a user wants to download all photos from a certain website for offline browsing. Filters can be put into place so that this is easily done. Even videos from popular sites such as YouTube and Google Videos can be downloaded quickly by using this program after proper filters have been set in place. Internet Download Manager supports HTTP, FTP, HTTPS and MMS protocols and even has an adaptive download accelerator for FLV, MPEG and MP3 audio files. Any files that a user can think of or needs can be downloaded through this program. It is safe, easy and effective. This is why so many people are gravitating toward this program.